Finding a lessee who pays on time and takes good care of the land you have spent years nurturing cannot be underestimated. Irish farmers find it incredibly difficult to let go of farm land. 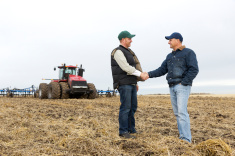 There are many, often complex reasons for the mental block many landowners experience when making a decision about exiting farming and leasing out land. The general reaction is ­usually to put off the decision and keep ‘plugging away’ at the present farming system, be that dairy, beef, sheep or tillage. This may often have an adverse effect on the farmer’s health, the welfare of livestock, the land itself – not to mention the financial consequences. True, it’s not all about ­money and tax saving but a farmer/landowner surely has an obligation to maintain the land and farm business that sustained them and others to this stage of life. It is a crying shame to see a well-worked farm descend into rack and ruin due to neglect of a stubborn, indecisive landowner. Even mentioning selling land is dangerous in such ­circumstances, so is leasing really the right option? There are a number of ­factors to take into account from the ­landlord/lessor’s and the tenant/lessee’s point of view. The first and most important requirement for a retiring land owner is to find a tenant who will take good care of the land and respect the landlord’s wishes. Too often the focus is to get the best price per acre possible but that extra few euro per acre is worthless if you end up with a poor tenant who knocks gates and gathers plastic. The newly retired farmer has a lot more time on his or her hands and seeing their holding neglected and abused can be a very debilitating experience. The price per acre is of course important too but if we look a little closer, it is not actually about the money at all, but is more to do with pride and the fact that the land is leased cheaper than similar land in the same parish. This show of pride is amusing as the same landowners often have farmed the same land for years beforehand and made much less money per acre. The tenant who pays the rent on time like a metronome year in, year out cannot be underestimated – there is nothing more frustrating for a landlord or his agent than a bad paying tenant. It is important to set out your stall in year one and demand the rent is paid on time as some tenants have a tendency to pay later and later as the years roll on in a land lease. It’s a classic give an inch and take a mile. Other important issues to list as conditions in a land lease are who pays for water, electricity and council rates. Many good landlord/tenant relationships deteriorate over disputes caused by badly written land leases. It is normal for the tenant to fix broken water pipes and troughs but the landlord is responsible for the water pump, the tenant should pay for electricity or make a contribution towards same and also pay for water rates in a similar manner. It is important to ensure the tenant includes the holding in their insurance policy for public liability and the landlord also continues with their existing insurance policy. If the holding is well fertilised with very good lime, phosphorus (P) and potassium (K) levels at the first letting, soil samples should be taken and included in the land lease as a base soil fertility level. If the land is returned below this level, a penalty will apply. If the land lease is greater than three years, it is common to include a review of the annual rent and this should have a clear formula for resolution. Basic Payment Scheme (BPS) Entitlements are often leased with the land, and it is crucial to clearly state how many entitlements, the value of each entitlement, if it includes greening payment or not and when the money is to be paid to the landlord. I foresee many disputes in the coming years over new BPS payments, the unit values changing annually which make such payments challenging to calculate accurately for many agents. It is import for landlords to note that it is likely they will lose their BPS entitlements in the next reform of the EU CAP 2020-2024 if their land is leased out before 2019. When forward planning annual income in a retired situation, this may be an important consideration for a landlord. Finally, it is a good idea for a landlord to contribute to the maintenance of the holding during a lease, i.e. hedge trimming, roadway repair, shed repair or even reseeding. This helps build a good relationship with a tenant and or course keeps the holding in good shape. When a tenant takes on a lease of a new holding, the first few months are critical in building a relationship with the landlord. The old adage of ‘start how you plan to proceed’ will be to the forefront of the landlord’s mind so impressing the landlord early is always a good idea. Further into the lease, the landlord can often be much more tolerant of a tenant if they have impressed early. The reality is that good tenants are regularly offered land to lease rather than having to go out and chase land. However, it is important for landlords to keep their distance and let the new tenant get on with the job. The tenant does not have the time to come in for tea and chat about the weather every farm visit, even if they may have done so before the land was leased or for a time after. They have the land now so let them farm it – after all they have to generate profit to pay you, the landlord, your rent. A good tenant will like to get praise for farming the land well, so don’t be afraid to say the land looks well, even better than when you farmed it – it will only encourage the tenant to continue and even do better. The landlord should refrain from constantly complaining about small issues such as a little poaching, a tap left on, etc. These mishaps happened to you too when you were farming, so be clear and concise in communicating such issues to a tenant and perhaps get the advice of your agent or consultant/adviser before you do as they will have a colder more balanced view of the seriousness of the issue. The taxation benefits of leasing land on a long-term basis has seen more land going into leases instead of 10-month conacre agreements in the past two years. 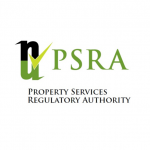 This is good for Irish agriculture, but both landlords and tenants must know their place and communicate properly for these agreements to run smoothly.